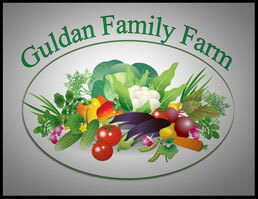 So you want to work for Guldan Family Farm… Great! 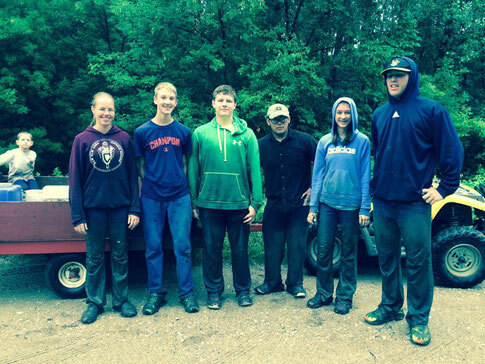 Here’s the scoop on what is expected of our harvesting crew employees. If hired, what will I be doing? If hired, you will be required to hand harvest berries and vegetables in an efficient and conscientious manner. You will need to judge a ripe fruit or vegetable from an unripe. You will need to use two hands and be able to handle a little dirt, a few bugs, some rain, and the occasional frog/snake. You will get dirty. When and what would I be harvesting? Our season will probably begin sometime in June when we have produce to be picked. The main crop in June is peas. During July, crew members will most likely be harvesting peas and beans. In August, tomatoes and cucumbers will join the schedule. There will be the opportunity for a few crew members to gain some extra hours working till noon or 1:00 (paid break included) to help prep the produce for market at the farm site and/or other farm duties as needed. There are usually hours also available in September after school. What time and why so early? Our crew works from 7 to 10 in the morning. Why? Simply because it gets too hot in the field later in the day. Produce is best picked in the morning when the conditions are cooler and moister for the plants. Humans are also in better condition when it’s not so hot!! How will I get paid? Peas and beans are paid by the pound. Our employees are paid by how much they are able to pick. We train and provide everyone with hints to help them become a better picker and ultimately receive a larger paycheck. If you are willing to use both hands and stay focused, you should be able to make at least $8.00 per hour. Most make more! It all depends on your motivation and ability to stay on task. We will pay 75¢ per pound for these items. Other field harvesting and maintenance will be paid at an hourly rate. Student employees start at a training wage of $7.87. Once established as an effective picker, we give raises accordingly (based on performance) to over $10.00/hr. Payday is every two weeks. What happens with the produce that is picked? We sell it at area Farmers’ Markets and through our CSA membership program. What if I’m going to be gone a lot during the summer? Then this isn’t the job for you. We hire people to work because we have work that needs to be done. We realize that families take occasional vacations, but you will need to use common sense and let us know IN ADVANCE when you will be gone. What happens when it’s raining? Normally, we work if it is only slightly raining. If the rain is heavy, we simply postpone the starting time until later that day. If the weather should become severe while we are working, we will always take shelter. Where is the farm? We are just a few minutes east of New Ulm near MVL. You will be responsible for your own transportation to and from the farm, but we encourage our employees to carpool with one another. It’s not hard work, but we expect you to work hard! We have some fun too!